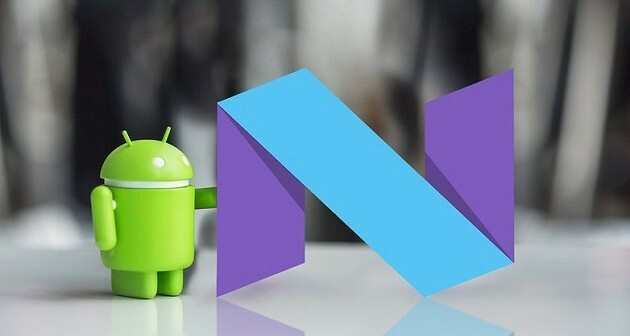 Android 7.0 Nougat is rolling out now, starting (as usual) with Nexus devices and eventually moving on to other phones. 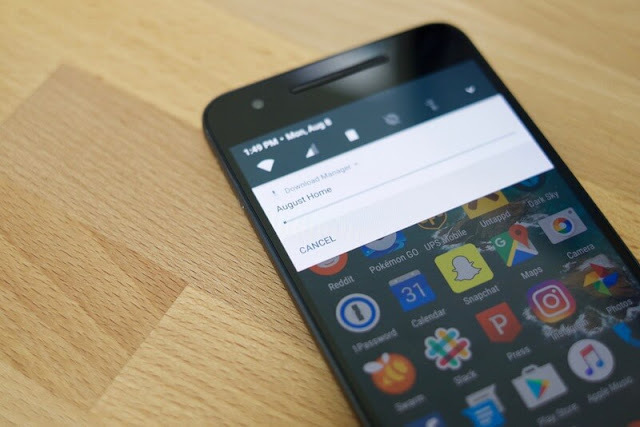 The new OS is loaded with new features and refinements, each one improving upon the overall Android experience. 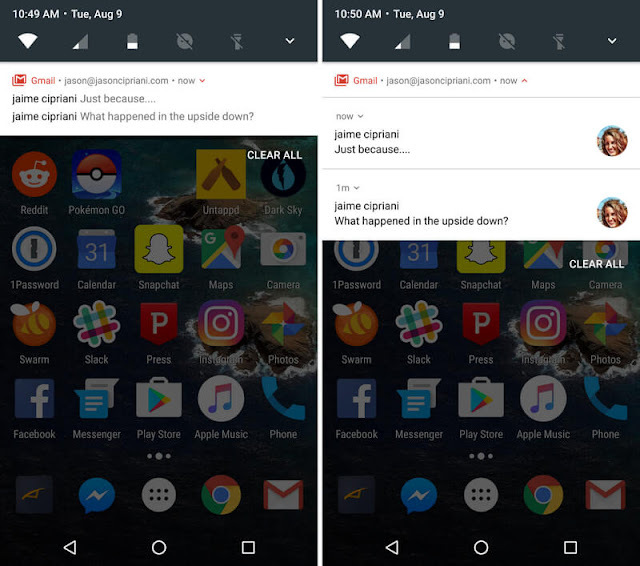 Some changes, such as bundled notifications, are quite obvious. Then there are the less visible changes, such as a new multitasking shortcut. 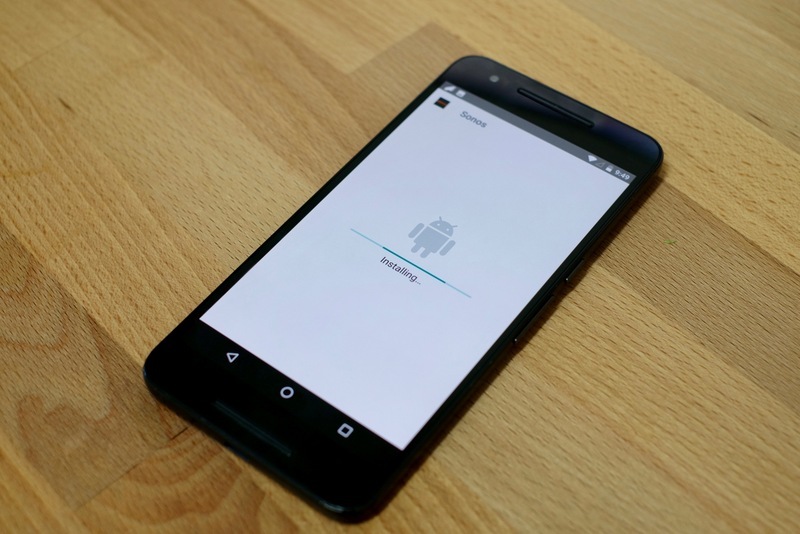 Follow along as we take a look at what’s new in Google’s latest mobile OS. With Google repurposing Daydream as the namesake for its VR platform, a new name was needed for the previous Daydream feature. 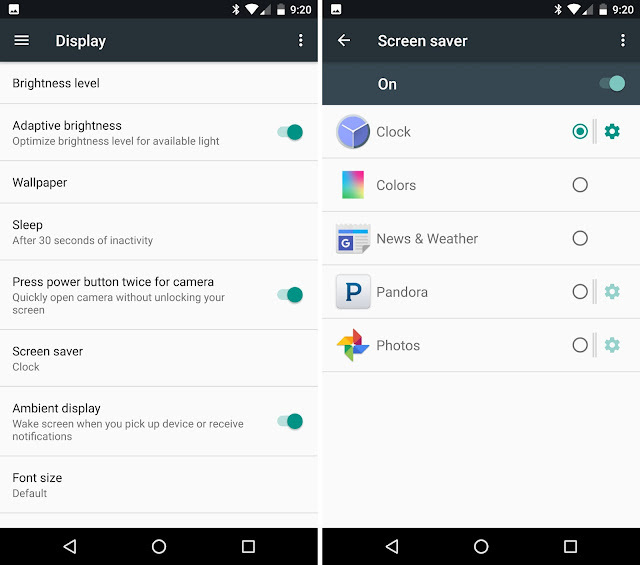 That new name is Screen Saver, which makes so much more sense than Daydream did in its previous incarnation. Android screen savers still work in the same fashion as they always have. You can now double-tap the recent apps button to quickly switch between your two most recently used apps. For example, say you’re in Gmail but need to look something up in Chrome to include in an email. 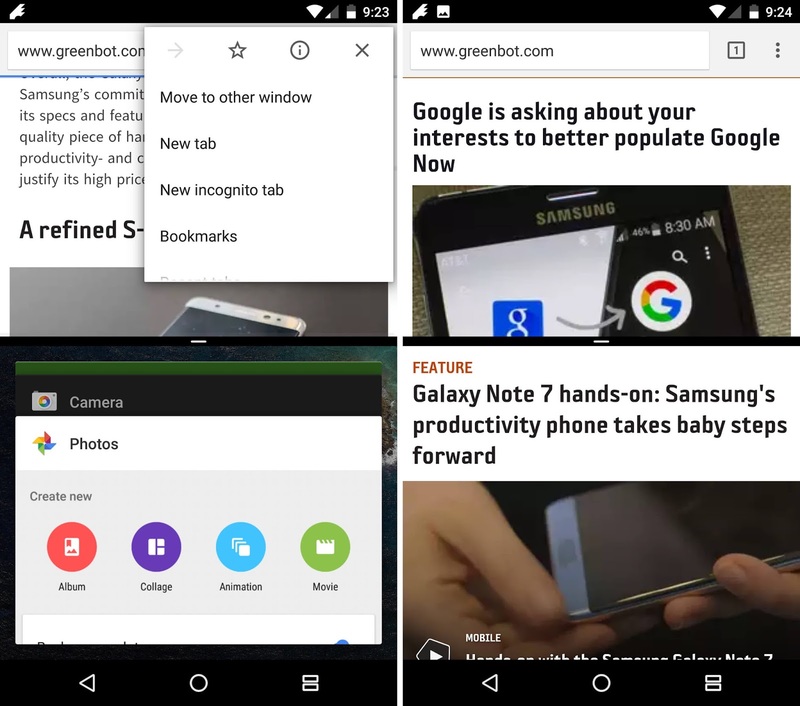 You can open Chrome, find and copy a link, then double-tap the recent apps button and your device will switch back to Gmail. 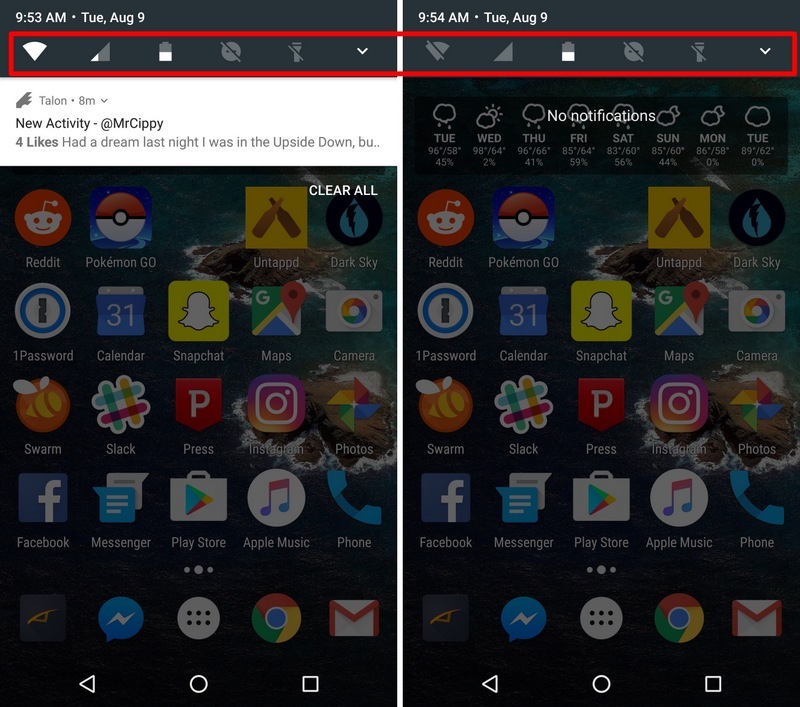 Samsung users have long had access to using apps in a split-screen mode. 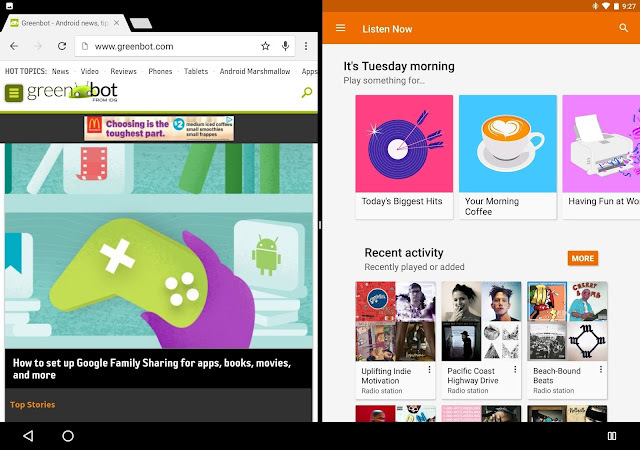 With Nougat, Google is officially adding support for multi-window support to all Android devices running Android 7.0. To activate multi-window mode, long-press on the recent apps button. Whichever app you’re currently using will go to the top of the screen (on a phone, or to the left on a tablet), with a list of recent apps shown along the bottom. Select the second app you want to use from the list. Drag the divider to resize the app windows, or to maximize either of the active apps. It took Apple an entire year to introduce split-screen tab viewing in Safari for iPad users, but Google did it at the same time it introduced multi-window to Android. When using Chrome in multi-window mode, tap on the Menu button and select they super handy option of “Move to other window.” It’s fully acceptable to point and laugh at iOS users if you feel the need. 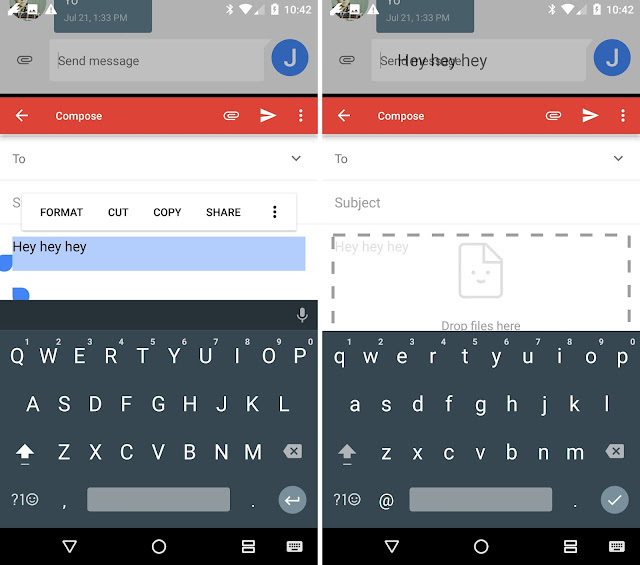 When using two apps at the same time, you can drag-and-drop text between the two windows. 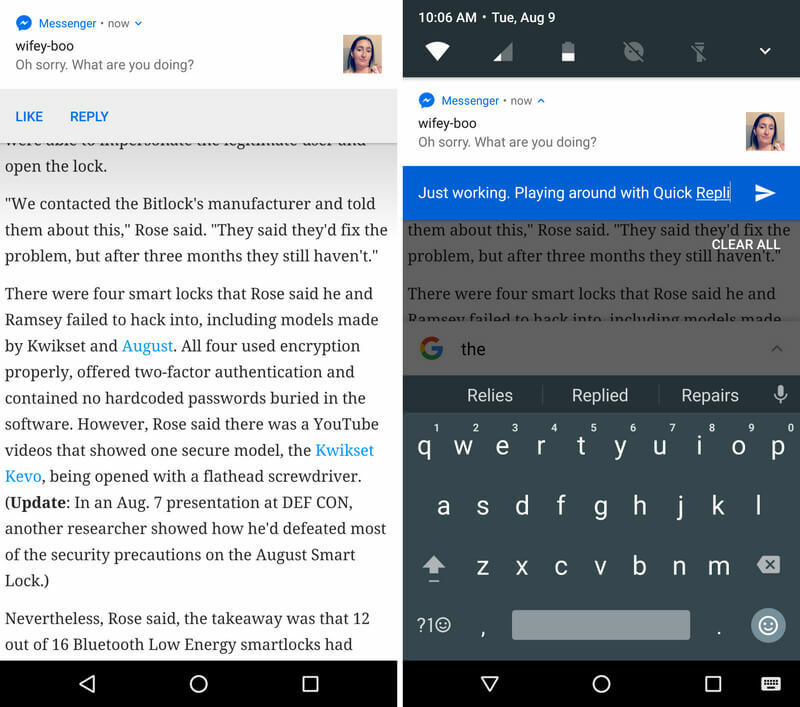 Highlight the text, then long-press on it until the text begins to float. Drag it to a text field in another window, and let go. 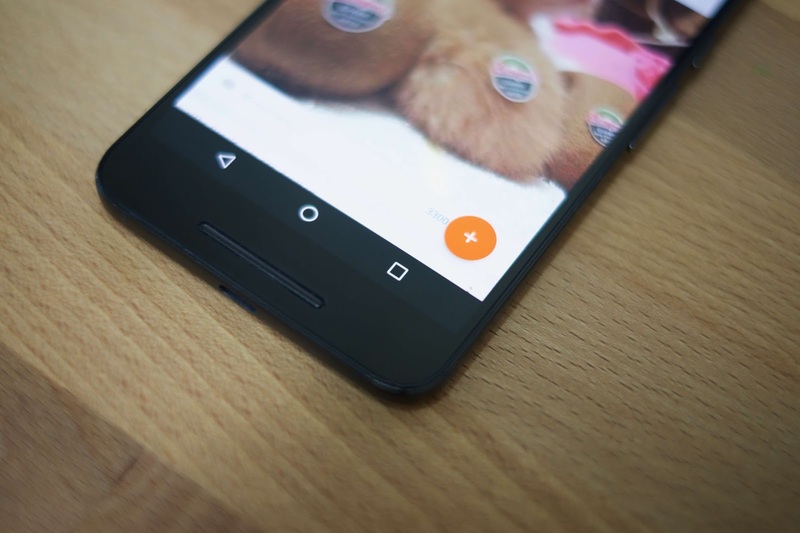 The same goes for sharing images between two apps, assuming they’ve been updated for the latest of Google’s wares. Magical, right? 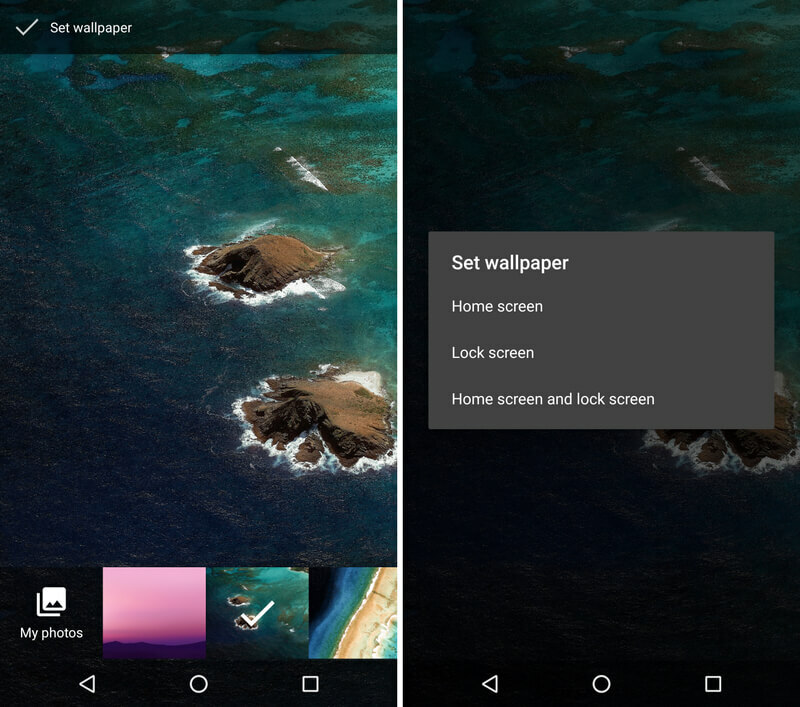 It only took way too many years, but the day has finally come: You can now set a wallpaper specific to your home screen, and a different one for your lock screen. The process to accomplish the once unthinkable feat hasn’t changed much—after selecting an image to set as a wallpaper, you’re shown a new prompt to select where the image will live. 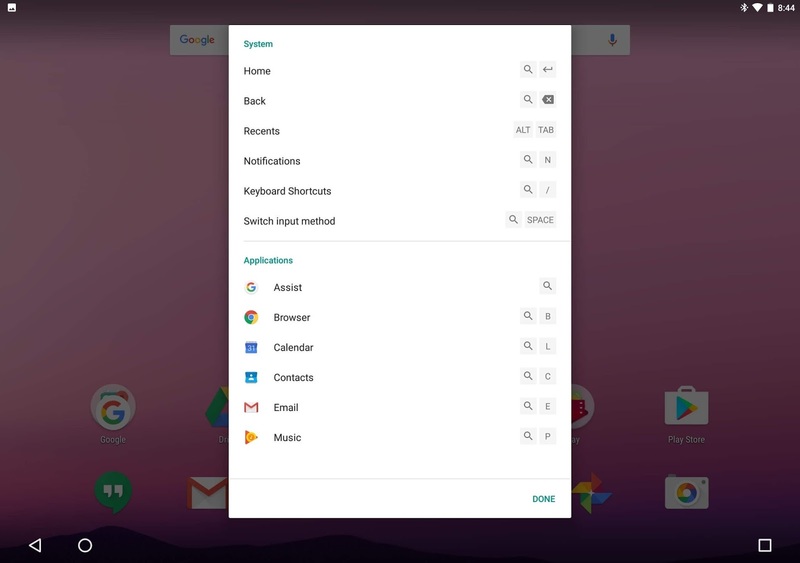 Google added a Clear All button to the recent apps list, only it’s a bit hidden. Instead of placing it at the bottom of your screen when viewing your recent apps, you need to scroll to the top of the list where you’ll find the handy Clear All text. Tap on it, and all apps are closed out. When you’ve closed all your recent apps, a new icon is displayed letting you know there are no recent items. Speaking of installing applications outside of the Play Store, you’ll find a fancy new installer animation when sideloading an APK. It’s a subtle change that won’t have a dramatic impact on your day-to-day use, but it’s not a bad looking change either. Who doesn’t like seeing the Android bot whenever possible? Have you ever posted something on Facebook, only to have your notification tray blown up with alerts of likes and comments? Me neither, but for those who have you’re going to love bundled notifications. Once an app updates for Android Nougat, it can opt to have all of its notifications bundled into one alert. Slide down on the respective notification to reveal the rest of your alerts for that particular app. You can now reply to messages from apps like Facebook Messenger, Hangouts, or Messenger directly from the notification. Of course, this means you can hold a conversation without having to bounce between a messaging app and another app. It’s important to note, this isn’t limited to messaging apps. Twitter apps, for example, could add the ability to reply to mentions. 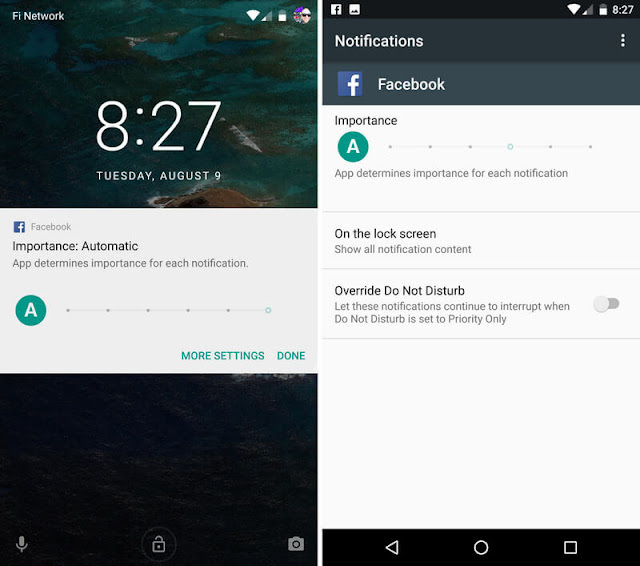 You can now set the importance level of an app’s notifications to fit your specific use of that app, including allowing an app to ignore your DND settings. With a long-press on a notification, you can view the current importance level. 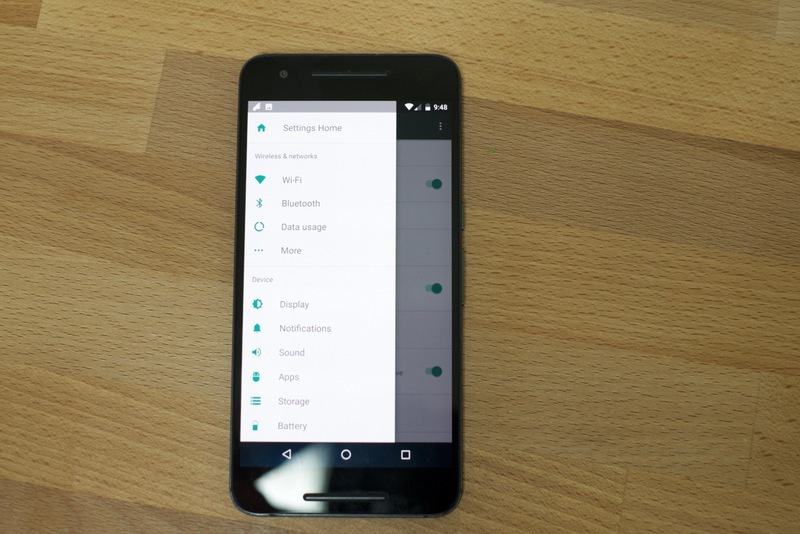 Tap on More Settings where you can turn off the default automatic setting, and adjust its interruption level. As you move the slider, a brief explanation will detail each alert type. Tired of paying for data overages? 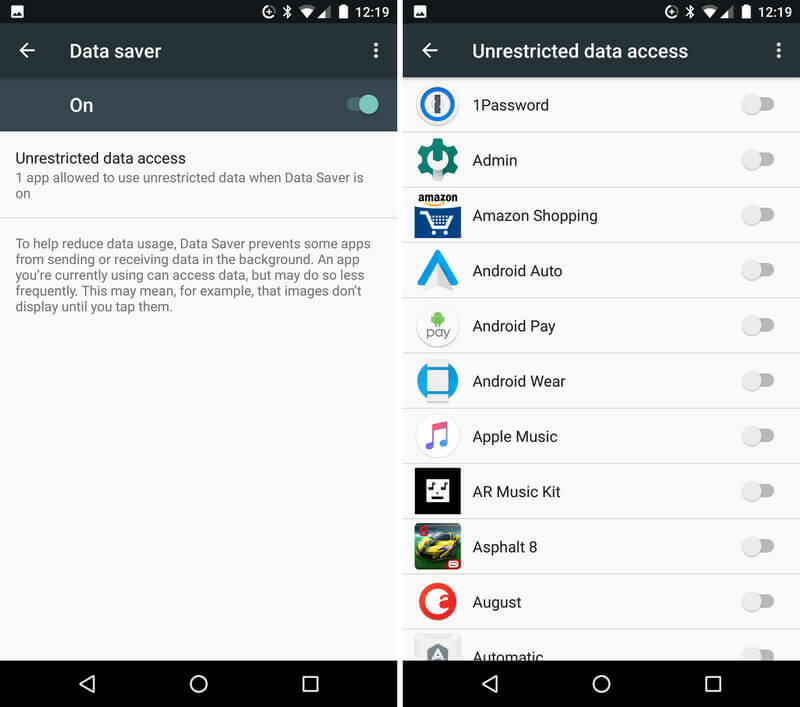 When using an Android Nougat device, you can enable Data Saver to restrict specific apps from using data in the background. Under the Data Usage menu, open Data Saver and turn it on. 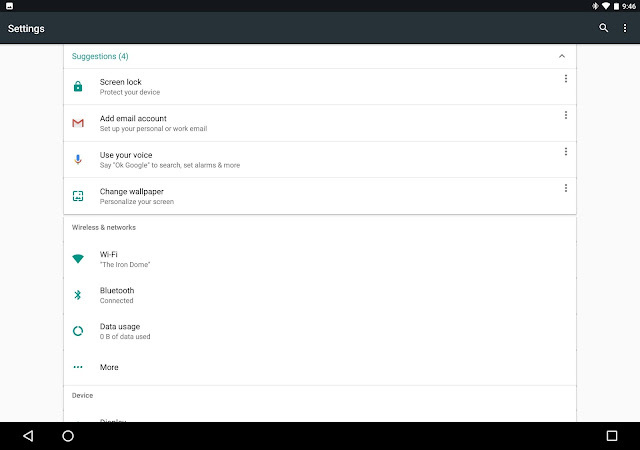 You can then go through a list of apps installed on your device, and enable background data for each one you want. Otherwise, apps will only gain access to a cellular data connection when you’re actively using it. 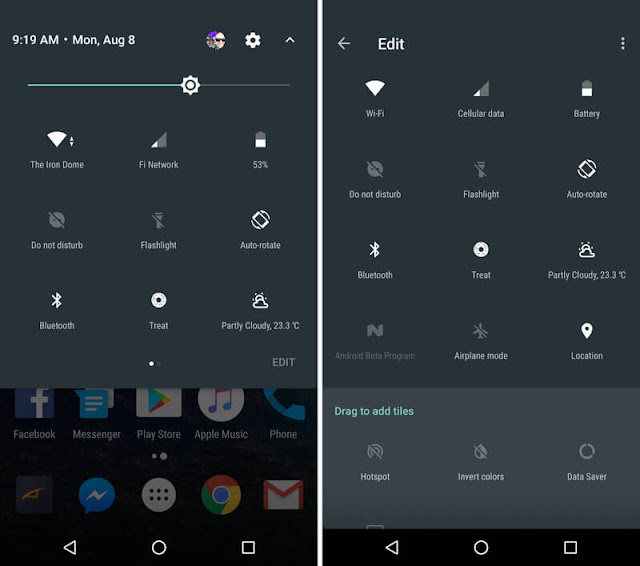 When navigating through the Settings app, now you can quickly hop between various sections using the hamburger menu on the left side of your screen (or by dragging in from the left edge). Settings are broken down into the same categories as the main list, but using the slide-out menu eliminates the need to tap the back button, scroll, then select another setting category. When you open the Settings app your device will offer some recommendations for various settings and features you should set up. 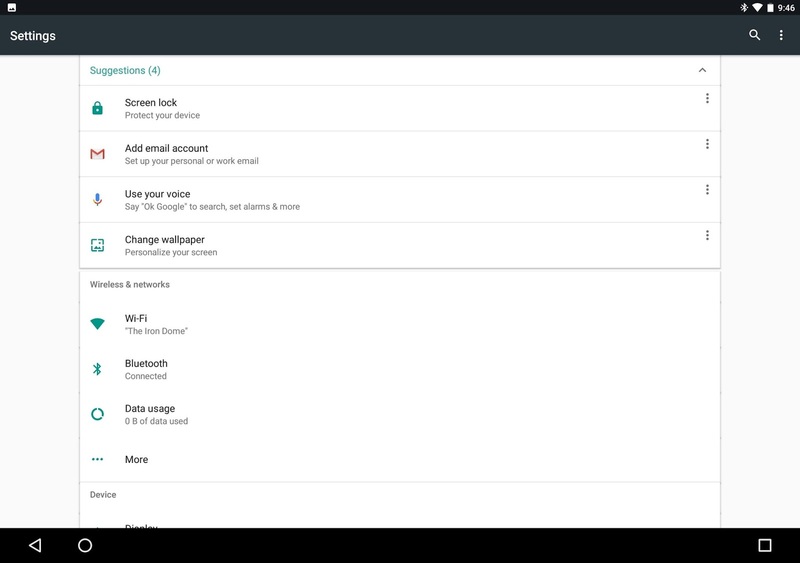 For example, upon initial setup Settings recommended I set up Screen lock, add en email account, set up “OK Google” commands, and change the wallpaper. 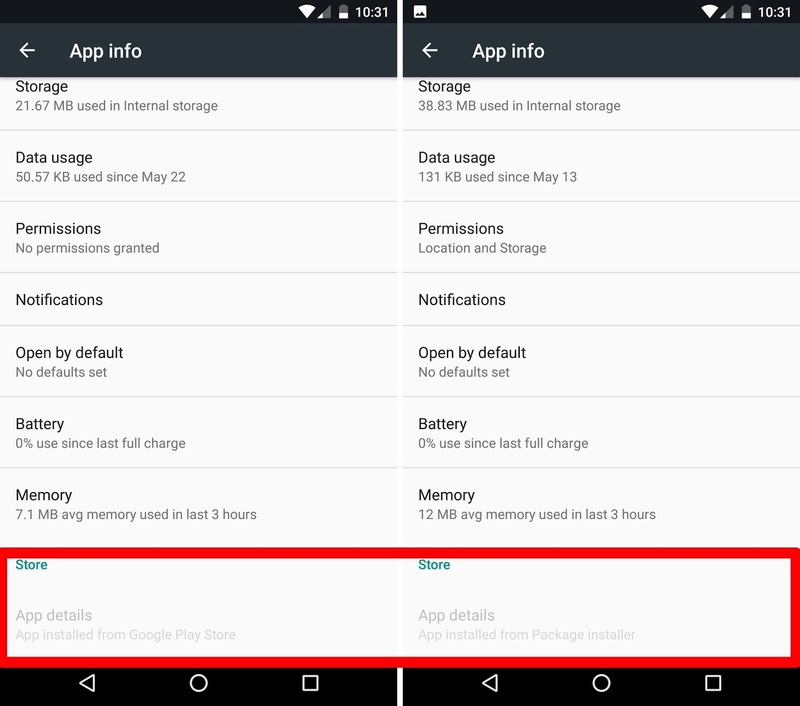 Tapping on a suggestion will open the proper settings pane or app. Alternatively, you can tap on the overflow menu to hide an item from the list. 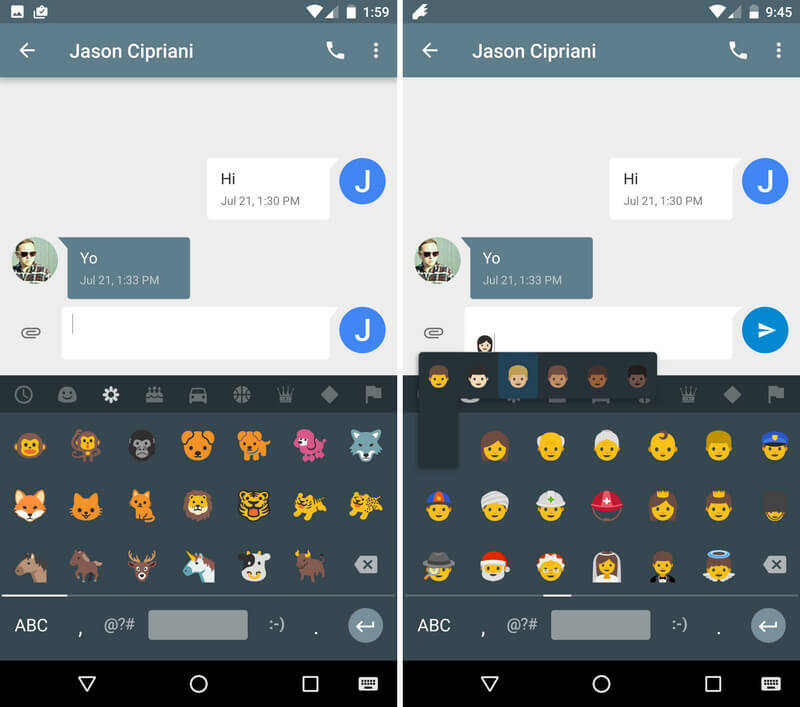 Android Nougat includes the latest and greatest Emoji approved by the powers that be, including bacon! Beyond the latest and greatest emoji baked right in to Android, you’ll also notice Google has reworked most of the emoji included on its mobile devices. Smiley faces now have a more human look and feel to them. Ever start to update or download apps from the Play Store, only to remember you’re on a cellular connection or your battery is about to die? 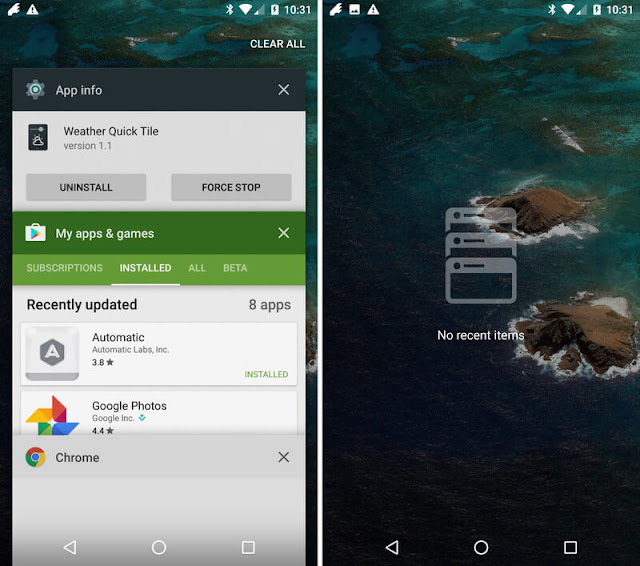 You can now cancel downloads directly from the download notification, instead of having to tap through each item in the Play Store. Slide down the notification, tap cancel and your data bucket is safe. Using a physical keyboard with a tablet like the Pixel C adds a level of convenience and mobile computing appeal to the tablet. However, learning and remembering each apps’ keyboard shortcuts can be a chore. With Nougat, you can press Search + / to view a list of shortcuts for the app you’re currently using.